Acer recently held their annual, next@acer event, where they detailed the Spin 3, their latest in the Spin series of laptops that transform from laptop to tablet, whenever you wish. It features a 9.6 mm (0.38 inches) thin bezel with a 79 percent screen-to-body ratio for more screen real estate on its 360-degree flipping display that can be used as a laptop or tablet. The 360-degree durable hinge is ideal for working, writing, sharing presentations, and gaming. 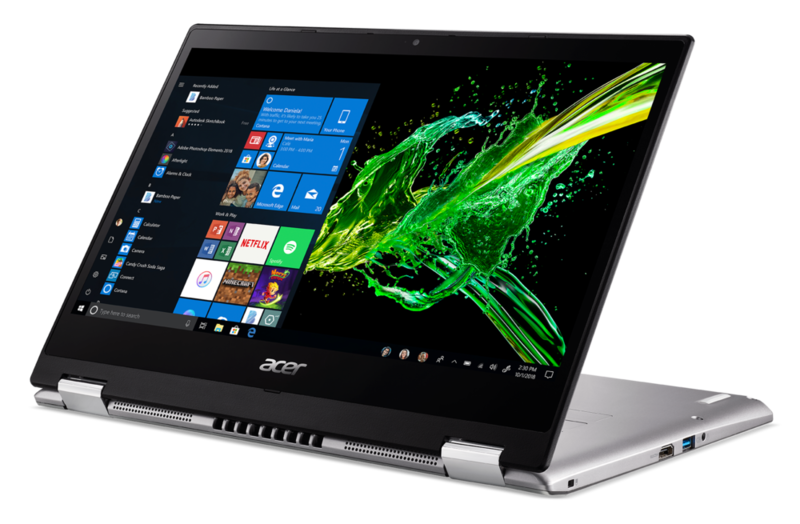 The Spin 3’s 14-inch Full HD IPSi touch display allows for input via pen and touch simultaneously, and the Acer Active Pen enables precise and direct on-screen input at multiple points of contact, making working on more complex projects more efficient. The machine is meant to offer 12 hours of battery life, touch screen, pen input and more, but sadly no release date or price has been announced for Australia yet. Until then, we can look at some fancy images at least.